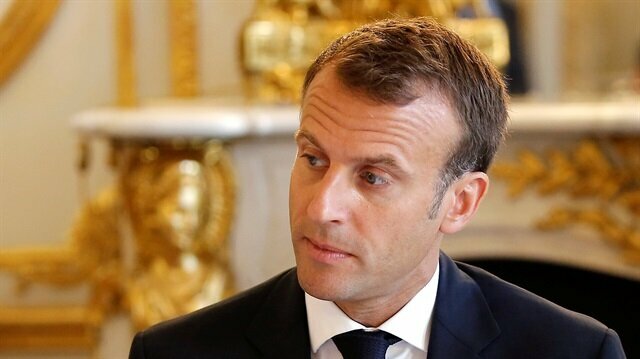 French President Emmanuel Macron discussed jailed Ukrainian film director Oleg Sentsov, who has been on hunger strike since May, with Russian leader Vladimir Putin on Friday, said Macron's Elysee department. "The President of the Republic conveyed to President Putin his concerns, given that the health of Mr Sentsov seems to have worsened dangerously, and the importance that Russia urgently finds a humanitarian solution to the situation," said the statement from Macron's office. Sentsov, imprisoned on what he says are political charges, began his hunger strike ahead of the World Cup to highlight Russia's human rights record. The two leaders also discussed the crisis in Syria, the statement said. President Emmanuel Macron will speak with Russian leader Vladimir Putin on Friday about jailed Ukrainian film director Oleg Sentsov, who has been on hunger strike since May and is gravely ill, a source in his Elysee office said.Sentsov, imprisoned on what he says are political charges, began his hunger strike ahead of the World Cup to highlight Russia's human rights record.